Giving Tuesday (https://www.givingtuesday.org/) is a day dedicated to supporting organizations that serve those less fortunate than ourselves. Sadly, in addition to all the good it does for charitable causes, this special celebration has unleashed a whole new array of scammers who try to take advantage of your generosity. Take charge. Instead of responding to unsolicited requests, seek out the organizations you want to support. This is the single most important thing you can do to protect yourself from charity scammers. Beware. Solicitations that look like an invoice are not to be trusted – especially when they’re from an unfamiliar organization thanking you for your previous support and asking you to give more. Watch out for impostors. Be suspicious of charities that use names or logos that look like well-known organizations. They may be bogus. Never wire money or give cash contributions. And always make checks payable to the charity, not the person collecting your donation. Research. Only give to registered charities. 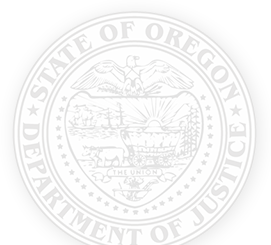 You can look up any legitimate charity on the Oregon Department of Justice’s online database of charities – https://justice.oregon.gov/charities. You can also use that database to find out how much of your donation will go to the charity’s actual purpose. Or you can check Charity Navigator (https://www.charitynavigator.org/) to learn more about any charity worth your support. Understand. Donations made through a crowdfunding site (like IndieGoGo, Kickstarter, and GoFundMe) may not be tax-deductible. In addition, this type of giving is not regulated or subject to financial reporting and disclosure requirements, so there is no guarantee your donation will be spent appropriately. Reduce calls from charity scammers. Have your telephone number listed in the National Do Not Call Registry. Register online at www.donotcall.gov or call 1-888-382-1222 from the number you want to register. And while you’re at it, reduce your junk mail by registering with the Mail Preference Service online at dmachoice.org and paying $1. Review. Some charities will sell your name for marketing purposes. Read the fine print of any nonprofit with which you’re unfamiliar. Report. If you suspect fraud this holiday season, call the Oregon Department of Justice at 971-673-1880 or file a complaint online at https://www.doj.state.or.us/consumer-protection/sales-scams-fraud/report-scams-fraud/.